Home/SEO/Improved and enhanced local search Expert Quiz – What’s with local SEO in 2016? Do you think you’re updated with some of the latest developments in local SEO? A year ago you were asked to test your knowledge on local SEO by taking the Local Search Expert Quiz. The SERPs are changing too fast and as per the latest survey, over 45% of the online marketers report spending much more time on local search in the last 12 months and hence they have already created an updated version. This has been written by Miriam Ellis, local search expert and the quiz contains around 40 questions which is designed to test your general knowledge on local SEO and how much aware you are about the SEO industry. Are there any perks of taking this quiz? Well, the quiz is completed in no less than 10 minutes! 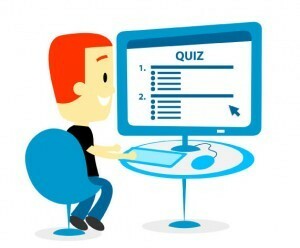 You must be interested in knowing the questions that are asked in this quiz. Here’s a list of a few. What does the abbreviation NAP stand for? If you add W to the abbreviation NAP, what does W stand for? What do you mean by citation with respect to local search? What does citation consistency refer to in local search? Which of the business models would most probably be ineligible for My Business listing? Is it true that Yelp has asked business owners to earnestly request reviews from customers? What do you mean by Google Home Service ads? What do you mean by user-as-centroid phenomenon? What did Google announce in July, 2015? In 2015, which of the following was being stopped showing in Google Places API? During fall of 2015, for which feature did local SEOs greatly lament? Which was a major Google shake-up within the past few years? How is your score rated? 24-29 Intermediate: Yes, you’re moving closer to the centroid! 35-40 Guru: We all take a bow to see you local SEO knowledge. Hence, if you’re still not sure about your local SEO knowledge level, take up this test and know the results as mentioned above.